TOKYO, Mar. 15, 2013 — Ricoh Company, Ltd. (Ricoh) announces that Ricoh is going to strengthen its business structure in the Asian market. Ricoh has been expanding its marketing and sales in Asia Pacific region as well as China after establishing Ricoh Asia Pasific Pte. Ltd (RA) in Singapore in 1996 and Ricoh China Co., Ltd. (RCN) in Shanghai in 2003 as regional headquarters. 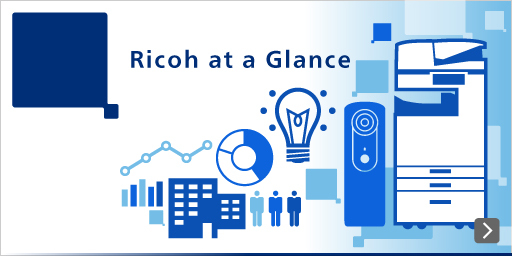 In response to the rapid changes in the Asian market such as the globalization of Chinese companies, Southeast Asian, Hong Kong, and Taiwanese companies' expansion into mainland China, as well as the growth in emerging markets, Ricoh is enhancing its business strategy in those areas. This structure is designed to meet customer needs more quickly and efficiently. By sharing resources and expertise that RA and RCN have accumulated in Asia Pacific region and China, Ricoh more efficiently help Chinese firms expand their business in the Asia-Pacific market as well as companies in Hong Kong, Taiwan, Southeast Asia who are enlarging their business in mainland China. In addition, Ricoh will be able to provide even better product and service line-up by increasing the speed and quality of marketing. Ricoh also aims to integrate RA and RCN's IT infrastructures, education systems, human resources, and supply chain management to realize more efficient operation. Additionally, to provide the ideal services to Asian customers, Ricoh will pool its talent to maximize expertise in the region. The new management structure comes into effective on April 1, 2013.